Fresh off this season of American Idol, we welcomed Ron Bultongez, a singer-songwriter from Plano, Texas to the stage at Music Audience Exchange (MAX) for our monthly “On The Record” series. Craig Rector, our Marketing Manager, led the interview with Ron. They talked about his journey to America from the Democratic Republic of Congo and how he overcame a life of abuse and adversity at home. Growing up, Ron struggled with an abusive home environment. He says that his life is a true example that it takes a village; he credits his faith, his friends, and the city of Plano for shaping him into the man he is today. Craig Rector @ MAX: You make it a point to give back to the city of Plano, speaking at schools in the area and volunteering. What inspires you to give back? Ron Bultongez: My life is a true example that it takes a village. I feel like the only proper way to thank the community that raised me is by doing things like investing back into the community. I get the chance to sing and speak to students. One of the biggest lessons I tell them is if you guys take away anything from me visiting you guys today is that life is difficult and life is tough and that sooner you grasp that, the better off you will be. The second most important less is that we don't have to go through it alone. They also talked about his experience with this season on American Idol and the moment his journey almost ended during his initial audition when Katy Perry and Lionel Richie chose not to put him through. After careful consideration, Lionel Richie asked to bring Ron back in and changed his vote to a yes sending him on to Hollywood. Craig Rector @ Music Audience Exchange (MAX): How has your music been impacted since being on American Idol? Ron Bultongez: Before American Idol, I feel like I had something that I didn't quite know how to use yet. Now when I get on any stage, I just feel so comfortable. Through the show, I got mentored by Luke Bryan, Lionel Richie, and Katy Perry - the irony is that Katy Perry was the one that was least for me at the very beginning, but what she said is stuck with me the most. She said, "you create art and you want your art to always resemble you as an artist." 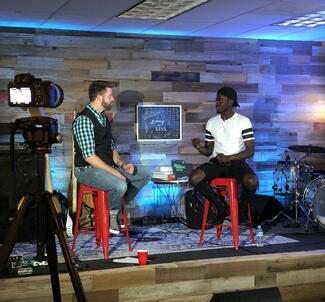 After the interview, Ron played an acoustic version of his new single, "Learning To Love". Ron considers himself a student of life and his lyrics "learning to love through the good and the bad" speak to his message of life, love, and perseverance. His new EP is also titled Learning to Love and is set to release later this summer. Later in the set, Ron was joined by his band members Nick Snyder on guitar, Patrick Smith on bass, and Darielle "Sauce" McDuffie on the drums.They performed a few more songs off of the new EP for us and we can't wait to hear the rest! 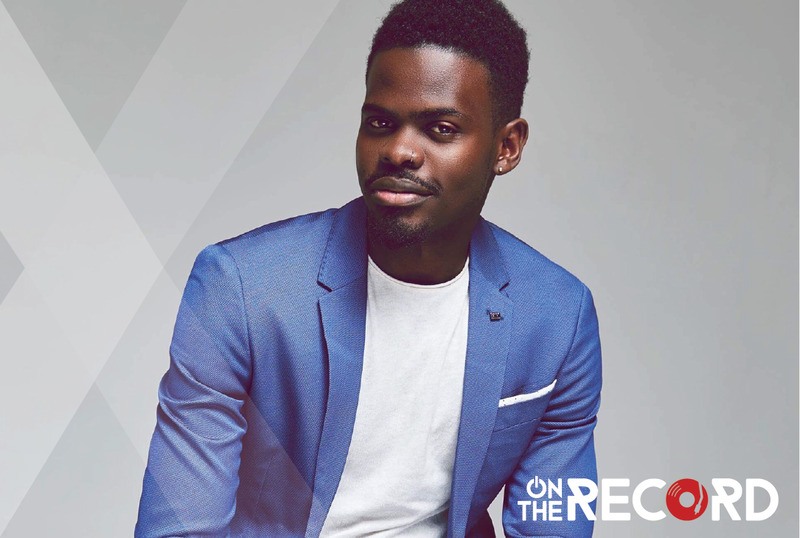 On The Record is a monthly music event series hosted by Music Audience Exchange in Frisco, Texas designed to highlight talented artists and the great music they make. Every month we bring in an artist to the MAX HQ stage to share new music and talk about their careers, songs, and influences. Music Audience Exchange (MAX) was founded in 2014 with a mission to help champion incredible music and the artists who make it through strategic, data-driven partnerships with brands. MAX brings brands into the music promotional space in a way that puts engaging content into the world through a value-exchange model that drives the brand’s objectives and elevates breakthrough bands along the way. If you’d like to learn more about Music Audience Exchange and what a music promotion program would look like for your brand, send us a note.